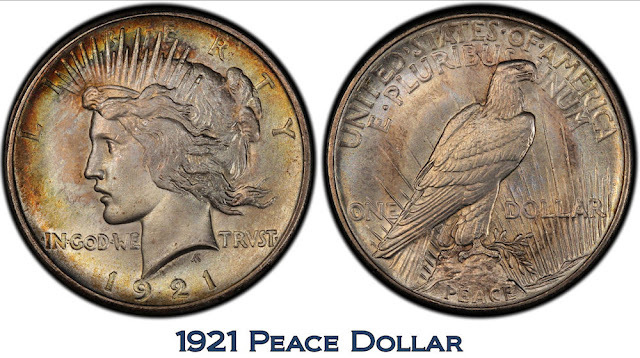 Alone among the major combatant nations, the U.S. was able to maintain the gold standard and stable dollar throughout the war. 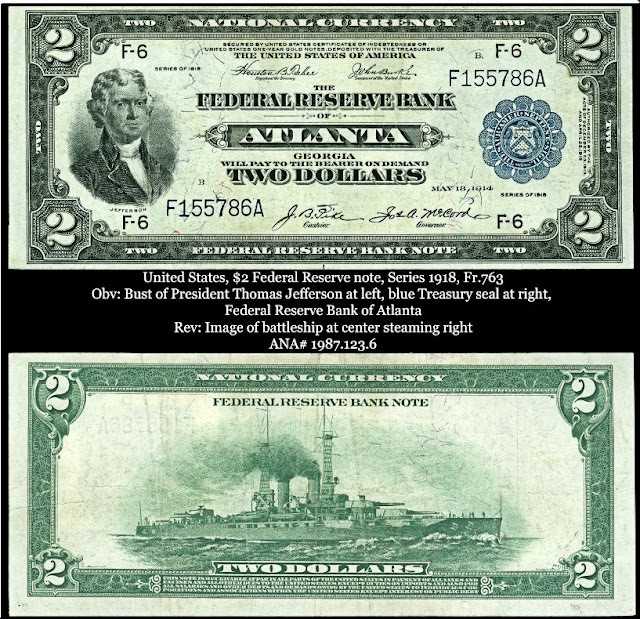 This was due to late entry into the war, massive U.S. armaments and agricultural export programs, insulation from the physical effects of the war, and the introduction of the Federal Reserve Bank system. Despite official neutrality, the U.S. supplied food and armaments to the Allies and by 1918 replaced Great Britain as the world’s greatest manufacturing and financial power. 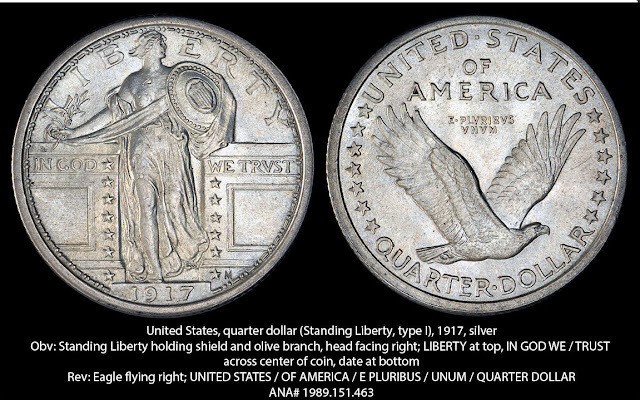 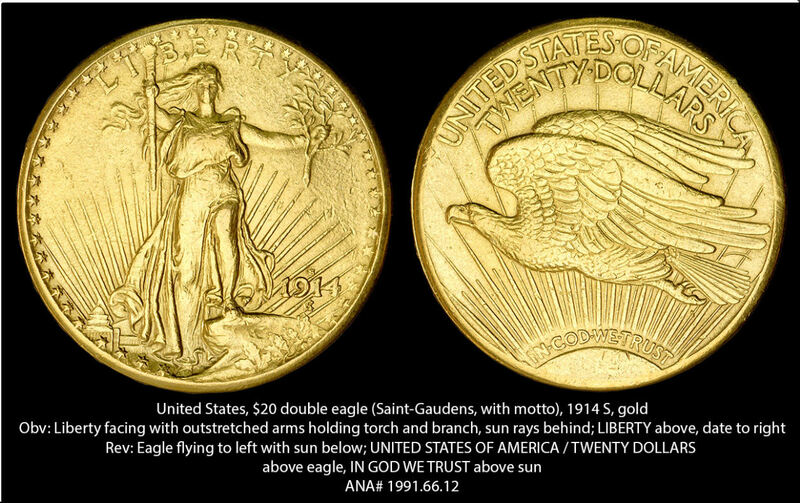 In 1905 President Theodore Roosevelt initiated a collaboration with sculptor Augustus Saint-Gaudens, beginning what is today known as the “Renaissance of American Coinage.” Starting with Saint-Gaudens’s famous gold double eagle in 1907, accomplished artists were tapped to redesign the complete series of U.S. coinage, ending in 1921 with the Peace Dollar designed to celebrate the end of World War I.
U.S. paper money became more varied with the introduction in 1914 of Federal Reserve and Federal Reserve Bank notes to the existing series of Legal Tender notes, gold and silver certificates, and National Bank notes. 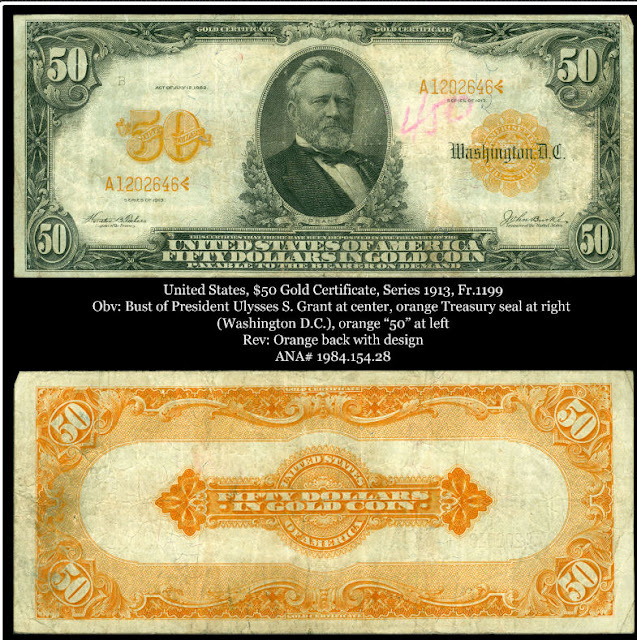 American money was among the most beautiful and impressive in the world—and the standard global trade currency.